Google Sign-In is a secure authentication system that reduces the burden of login for your users, by enabling them to sign in with their Google account—the same account they already use with Gmail, Play, Photos and other Google services. 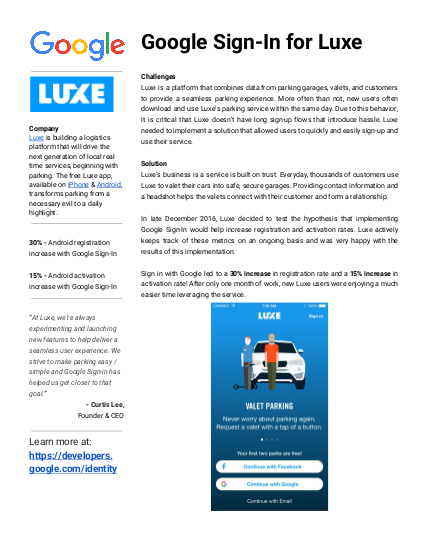 Luxe Google Sign-In integration on Android and iOS led to a 30% increase in registration rate and a 15% increase in activation rate. 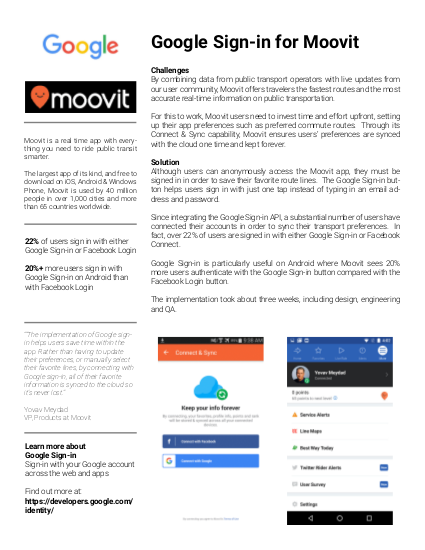 22% of Moovit's ( Android, iOS) users sign in with either Google Sign-in or Facebook Login. 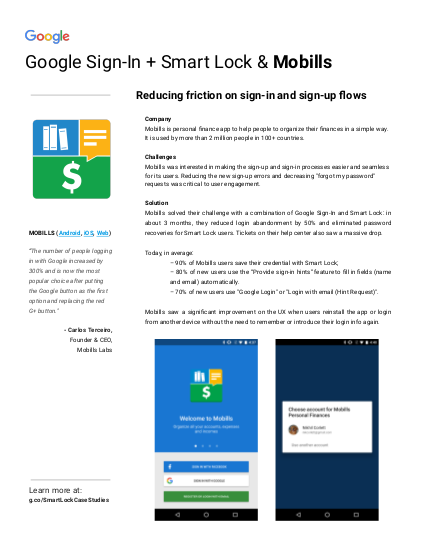 On Android, 20%+ more users sign in with Google Sign-in than with Facebook Login. 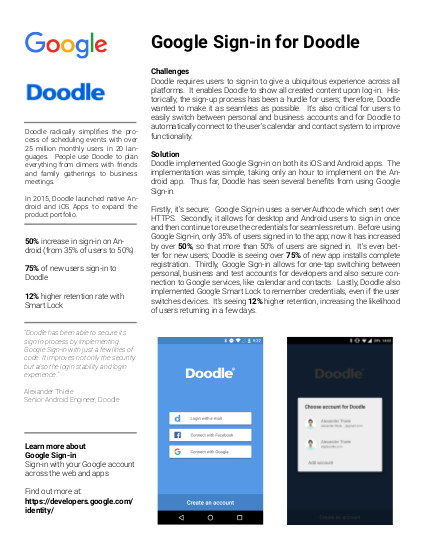 Doodle implemented Google Sign-in on its Web, iOS, and Android apps. Before using Google Sign-in, only 35% of users signed in to the app; now it has increased by over 50%. It’s even better for new users; Doodle is seeing over 75% of new app installs complete registration. After putting the Google button as the first option and replacing the red Google+ button, Mobills (Android, iOS, Web) saw the number of people logging in with Google increase by 300%, and become the most popular sign-in option.